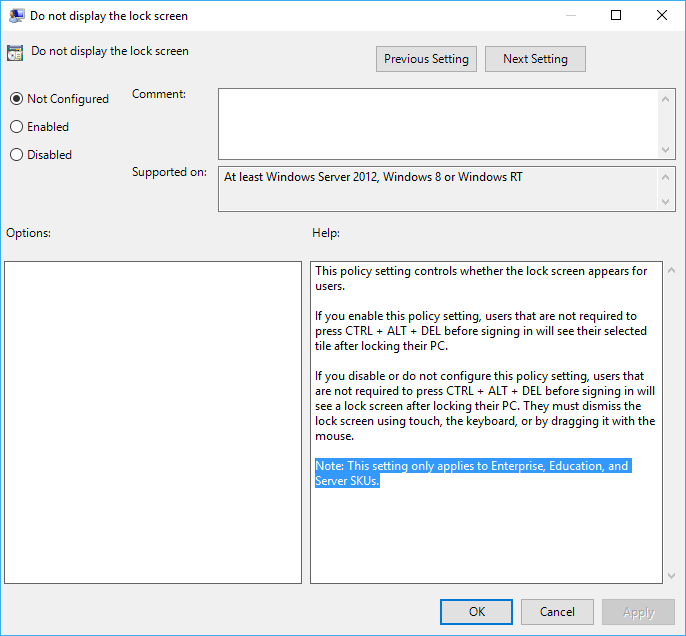 In Windows 8, Windows Server 2012, Windows 8.1, Windows Server 2012 R2, Windows 10, Windows Server 2016 or later, Windows displays a lock screen on system startup or when the device is locked to users who are not required to press CTRL + ALT + DEL before signing in. On the lock screen, users are required to use touch (tap or slide up), keyboard (press Enter or Space), or mouse (click or drag up) to dismiss and unlock the screen in order to shown the login screen for signing in. Normally, only date and time, and wallpaper is shown on the lock screen. You can easily disable and bypass the lock screen if you think it’s unnecesary. Once you configure the setting to do not display and hide the lock screen, users that are not required to press CTRL + ALT + DEL before signing in will see their selected tile after locking their PC or when system boots up. 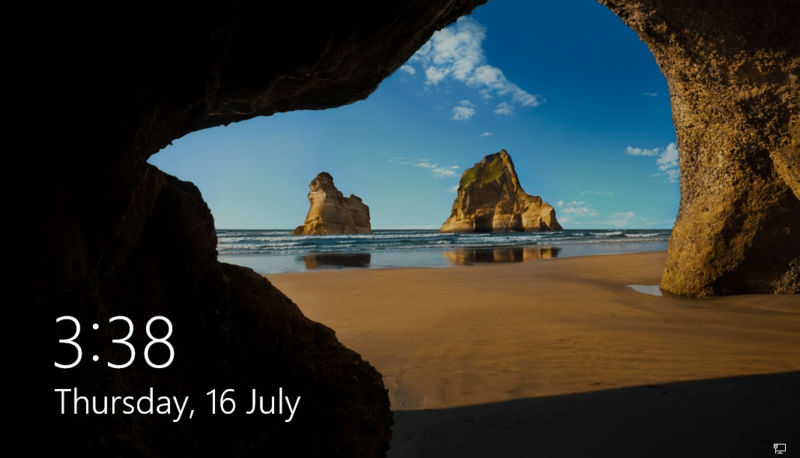 Beginning from Windows 10 Version 1607 (aka Windows 10 Anniversary Update) or more specifically Windows 10 Build 14271 for Windows Insiders, the lock screen could no longer be turned off for less premium editions of Windows 10. Even though you can still make the setting change, but it has no effect on Windows 10 Home, Windows 10 Pro and Windows 10 Pro Education. 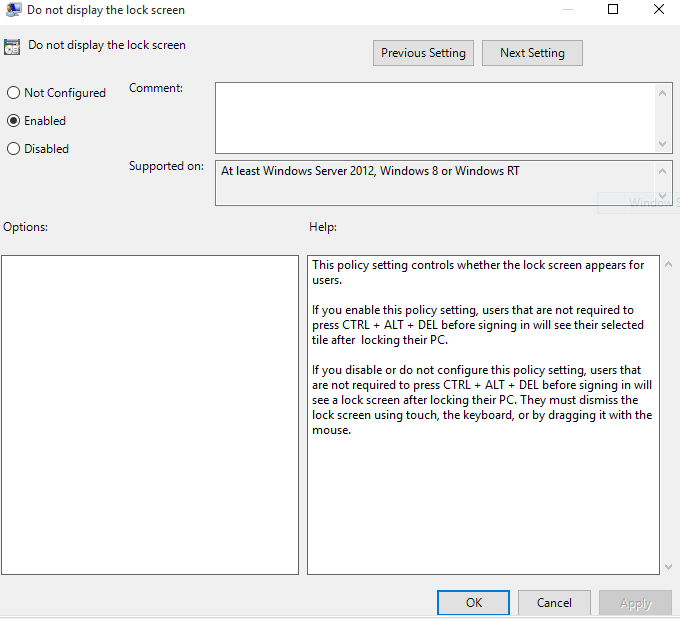 The setting only works for Windows 10 Enterprise, Windows 10 Education, and Windows 10 Server SKUs. Open Local Group Policy Editor (GPedit.msc) by searching for it. Local Computer Policy -> Administrative Templates -> Control Panel -> Personalization. In the right, double click or double tap on Do not display the lock screen setting. Exit from Local Group Policy Editor. You may need to restart the computer for the change to take effect. The steps above only work in Windows 8 / 8.1 / 10 Pro or Professional or Enterprise edition, as Home edition does not come with a Group Policy Editor. But you can make the same change via registry (which works on all edition of Windows). Run Registry Editor (RegEdit) by searching for it. If “Personalization” registry key is not found, create it by right clicking on Windows, and select New -> Key. 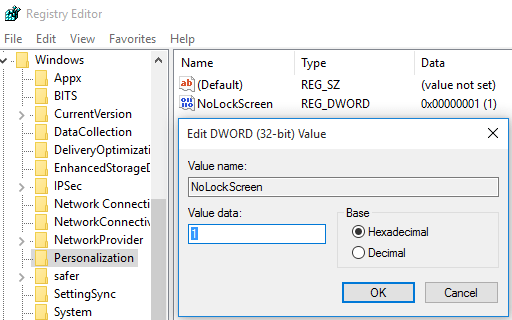 Create a new a DWORD (32-bit) value named NoLockScreen. Set its data to 1.